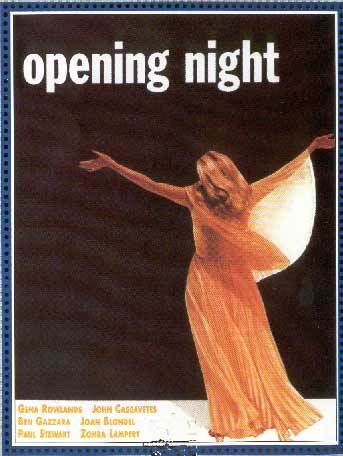 A young woman gets killed in an accident trying to meet her favorite actress Myrtle Gordon after a play. Then Myrtle Gordon felt responsible for the killing leading her down to an emotional crisis that interferes with her professional work as an actress. In case you want more information..... 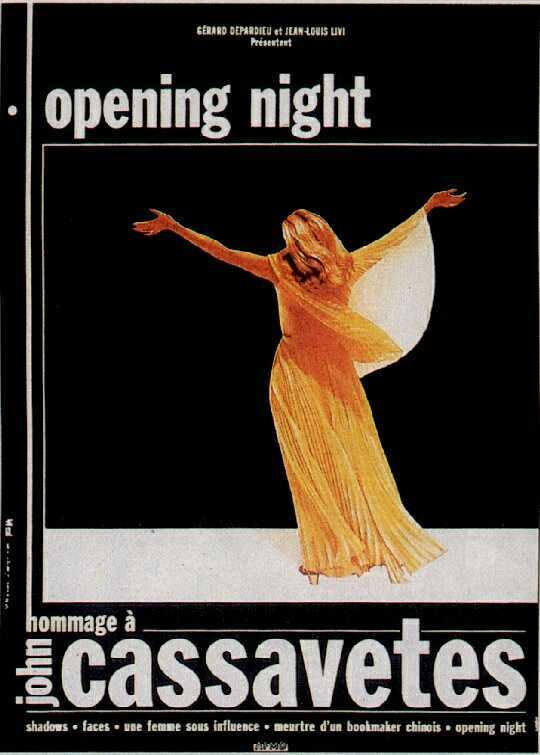 This is just a brief note for anyone who wants background information about how Opening Night was made or whatCassavetes intended when he made it. I just came across--and VERY highly recommend--Ray Carney's Cassavetes onCassavetes book. 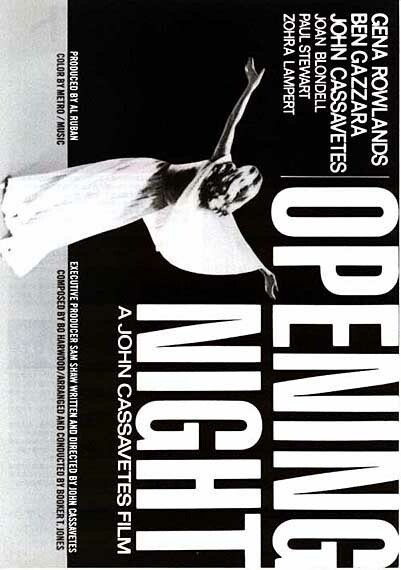 Carney has amazing behind-the-scenesinformation about how Cassavetes created Opening Night and all of his other no-budget wonders. Carney knew Cassavetes and had hundreds of hours of conversations with him before his death about his philosophy of life and art. It's all in the book. It is full of previously unknown material, nutty stories, and nutty filmmaking anecdotes. For example: Did you know that Peter Bogdanovich filmed one scene? Or that the unions tried to stop the production, picketing and shouting down the actors? 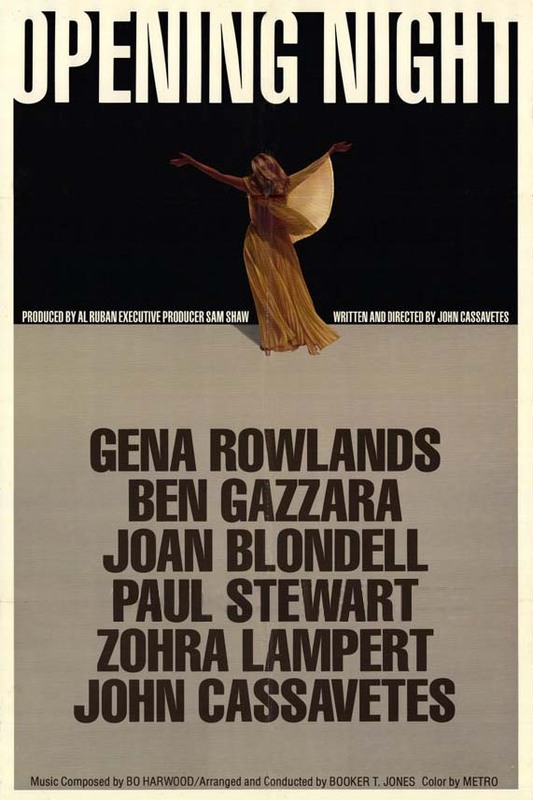 Or that Joan Blondell almost quit in the middle of the shot because she was so confused by Cassavetes methods? What a crazy, inspiring guy Cassavetes was and what a nut case when it came to getting things done! If you can't find the book, Carney's web site has excerpts. But try to get the real thing. 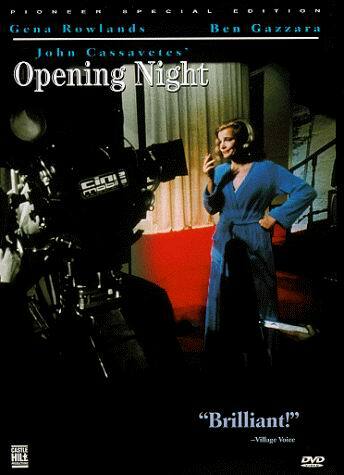 Opening Night is a great movie and you just won't believe everything Cassavetes went through to make it. What a guy. What a film!